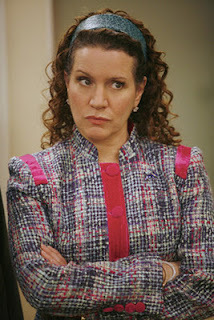 On November 8, life will get a little bit lighter as Susie Essman of Curb Your Enthusiasm hosts a night of comedy to benefit the Reed Academy, a not-for-profit school serving children with autism. Along with Essman will be Tom Papa, who has spent close to 10 years opening for Jerry Seinfeld, and Adam Lowitt from The Daily Show. Papa, who currently hosts NBC’s The Marriage Ref, has been described as a cross between Seinfeld and Bill Cosby. Lowitt, in addition to doing stand-up and producing the Daily Show, is a contributing writer for Saturday Night Live’s Weekend Update. At a campaign stop in Nevada on Monday, President Obama announced an expansion of the HARP (Home Affordable Refinance Program) which would eliminate the current maximum LTV of 125%. The initiative is being looked at as a way to reward those homeowners who have been good payers of their mortgages but, because of declining home values, they could not take advantage of today’s lower interest rates.  It also sounds that the banks may be given some incentive by not holding them liable for the underwater portion of the new loan (a major incentive for sure). The government is on the hook for these loans already. By lowering the payments (by offering lower rates), they will likely help these loans to continue to perform and make it less likely for the underwater homeowner to walk away. The original HARP was expected to help 5 million families. After two years, it has yet to reach 900,000; therefore, estimates ranging from 800,000 to 1.6 million borrowers who may benefit need to be taken with a grain of salt. Whether the Administration is looking for purely political rhetoric points or not, my advice to underwater homeowners is too keep an eye out for the final guidelines because you just might be able to lower your payments. Thirty treat stations will be set up around the zoo in West Orange on Halloween. Essex County's Turtle Back Zoo will be open for Halloween. 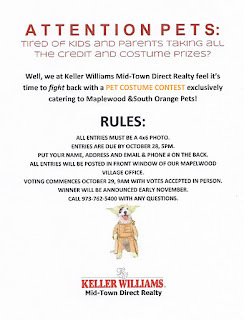 "Come dressed in your costumes and trick-or-treat in our zoo neighborhood. The festive atmosphere will be enjoyable for both kids and their parents, and the adults will have peace of mind knowing their children are celebrating Halloween in a safe and controlled atmosphere,” said Essex County Executive Joseph N. DiVincenzo, Jr.
Mortgage rates aren't made from thin air. They come from the price of a mortgage-back bond that's bought and sold on Wall Street, and that has its pricing set in the same way as a stock does -- supply and demand. When demand for bonds is high, in other words, prices rise. Rising prices means lower rates on mortgage for buyers and refinancing households. By contrast, though, when demand for mortgage bonds is low, bond prices fall. This leads to higher mortgage rates for everyone. The relationship between mortgage bond demand and mortgage rates holds for most types of loans including the conforming, FHA, USDA and "high-cost" conventional varieties. Jumbo loans are sometimes an exception. Because mortgage rates are based on the price of mortgage-backed bonds -- as a rate shopper -- one of the most important questions you can ask your lender is "What is the mortgage bond market doing today?". It's your best insight into where mortgage rates might go next. Click here to get a rate quote. Since April, demand for mortgage bonds has been high; so high, in fact, that rates plunged to an all-time low, reaching sub-4 percent levels we never thought we'd see. Get a jumbo 5-year ARMs under 3 percent with zero points? Really? Yes, really. Mortgage ates have been low because investors need safe places to park their funds. Equity markets are unpredictable and global economies are on shaky ground, at best. And, when in doubt, investors move their money to the safest places they know. Those places include the U.S. mortgage-backed bond market. Mortgage rates have been down since April on weak, U.S. economic data and the likelihood of a Greece sovereign debt default. This is because the U.S. economy is a powerhouse and because a Greece default would send shockwaves throughout the Eurozone banking system. In the U.S., as jobs data sank; economic output reduced; confidence dropped; and home prices idled this summer, demand for mortgage bonds picked up as investors fled stock markets, leading mortgage rates lower. Greece's issues contributed, too. Markets were of unsure whether Eurozone leaders would offer a bona fide relief program to Greece, and as those doubts grew stronger, mortgage rates sank more. But then an interesting thing happened. 3 weeks ago, mortgage rates bottomed. It was the day before the October jobs report was released and it appeared unlikely that Greece would receive an aid package. Since that date, however, the U.S. economy has shown signs of life. To a recovering economy, these are all good signs. However, mortgage rates failed to rise to reflect that. Instead, markets remain captivated by what may -- or may not -- happen in Greece. That mortgage rates are still low signals that concerns for Greece -- and the rest of the Eurozone -- have cast a long shadow on the mortgage bond markets. You can trace each day's mortgage rate movement to comments regarding Greece. The stock market is moving in kind. Today's mortgage market has a one-track mind. 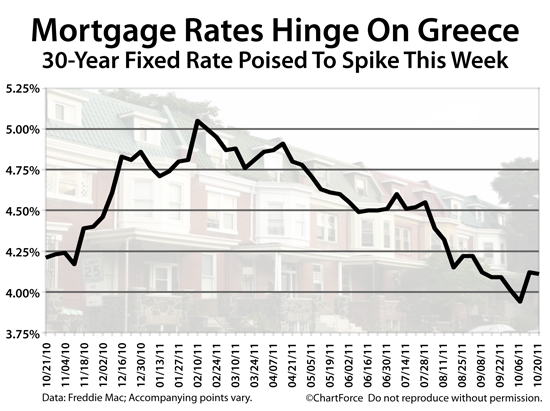 As Greece goes, so goes mortgage rates. Wednesday, Eurozone leaders are expected to announce an aid package for Greece. 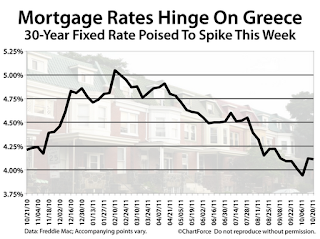 This is the news for which mortgage markets have been waiting since April 2011. If the program is deemed "good enough", stock markets will soar and bond markets will sink. This will take rates higher. Much higher. There's too risk in today's market. If you're shopping for a mortgage right now, do the safe thing -- get your mortgage rate locked. Rates could certainly fall on Wednesday but, if they don't, it's Skyrocket City and you won't be happy if you're on that ride. Get a mortgage rate quote online. 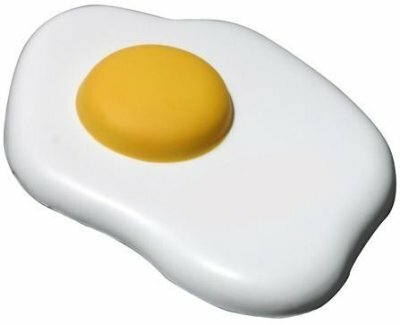 Click here to get one free. Luther Flurry is effusive in his praise of Montclair Center. He says that not only is the downtown area already a destination for out-of-town diners and shoppers, but the area will become an even bigger draw once the redesign of South Park Street is completed, hopefully before next summer. And that's a good thing. Indeed, his positivity is just what any Montclair resident would want. On Sept. 15, Flurry took over from Tom Lonergan and became the new interim executive director of the Montclair Center Business Improvement District (BID). With 20 years of managerial and financial experience at various nonprofits—not to mention more than seven years on the BID Board of Directors—Flurry seems perfectly suited for his nine-month term in the appointed position. Flurry said that the board was looking for someone to replace Lonergan who was already familiar with everything going on in Montclair Center—including the South Park Street project. "The board wanted a seamless transition," he said. Born in Atlanta, Flurry, 50, moved here with his wife and two children from Park Slope, Brooklyn, in 2000. He said he loves the diversity of the downtown area, which he said has become a destination for diners from surrounding towns. "Cars pull up on Bloomfield Avenue and one person will ask the other where they want to eat ... and people will know they can just walk around and they will come across somewhere nice," he said. Flurry said that on any given Friday or Saturday night, some 1,500 to 2,500 diners visit Montclair Center's 75 or so restaurants. I love living in Maplewood and this would be one more reason. The County-wide series changes locations weekly and visits Maplewood Middle School on October 22. 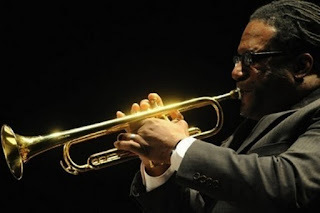 Also, Maplewood's own world-class trumpeter Marcus Printup visits the Newark Museum on Oct. 29. Drop that mop and get your kids over to one or all of WBGO Jazz Radio 88.3FM free Saturday afternoon "Kids Jazz" programs this October. The 18-year-old takes place every Saturday at 12:30 p.m. this month at different locations in the city or its suburbs — including a gig in Maplewood on October 22. Jazz is America's premiere contribution to world culture and Newark-based station WBGO is America's premiere jazz broadcaster. It's also a premiere cultural and civic institution with an art gallery, in-studio live broadcasts, media sponsorships of area jazz festivals, and not incidentally, it has a crackerjack news department. Behind much of this outreach is WBGO stalwart Dorthaan Kirk, the station's special events and programs coordinator, and a key player in the Newark cultural scene and at the station since the 1970s. Kirk talked about the "WBGO Kids Jazz" series: "This program is designed to introduce young people to jazz," she said. "My main focus is not the big name jazz star; it's presenting a program young people can understand." Each season — there is also a spring edition which starts in April 2012 — each of the one-hour programs explore a given instrument, style or component of jazz. This season the main themes are the jazz organ, song, Latin jazz and expressing emotion in jazz. Residents and small business owners who suffered damage as a result of Hurricane Irene should attend. The Federal Emergency Management Agency (FEMA) will be at Maplewood Town Hall at 7 p.m. on Thursday, October 20 for a community outreach program. Anyone interested in learning about the claims process in regards to Hurricane Irene and damage they may have sustained should attend this meeting. 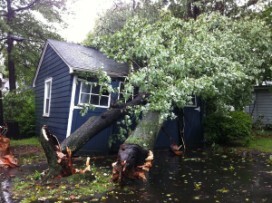 This includes small business owners whose businesses may have sustained damage and who want to place a claim. The meeting will be held in the main meeting room at 574 Valley Street, Maplewood and topics will include registration of a claim, the sequence of delivery and a general Q&A. Representatives from the Small Business Administration will also be present. But the Committee still must pass a resolution stipulating the criteria for the success of the pilot program. Fred Profeta, Vic DeLuca and Kathy Leventhal hear public comments related to the proposed chicken pilot program. Jane Goetz gestures to another member of the public during her comments arguing againt the chicken pilot program. 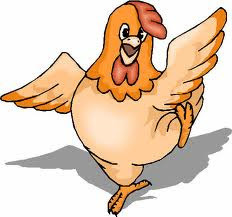 By a vote of 3-2, the Maplewood Township Committee approved an ordinance on Tuesday allowing for a one-year pilot program for up to 15 households in Maplewood to raise as many as three hens each for egg production. Durand-Hedden House, Maplewood's historical museum, is hosting Chick Talk (The Backyard Variety) this Sunday, Oct. 23, at 2 p.m. for free. The event will include Montclair-based chicken-owner Grace Grund, two of her hens, and a history of chicken farming in Maplewood. For more information, click here. And, having personally dealt with a short sale before becoming a Realtor, I have successfully managed Short Sale Transactions with the last 2 being Sold in less than 30 Days, thereby easing the pain of these unfortunate situations. The revamped HARP program for 2011The HARP mortgage program will be revamped soon, government officials say. A lot more homeowners will be HARP-eligible. Here's what you need to know about the changes. The Home Affordable Refinance Program (HARP) is a government mortgage program, first introduced in 2009 as a means to help underwater homeowners. HARP allows "underwater" homeowners to refinance their respective homes. A home is "underwater" if the amount owed on the mortgage exceeds the value of the home. As an illustration, a homeowner that owes $250,000 on a home appraising for $240,000 is underwater. HARP is also for non-underwater homeowners who have been hit by falling home prices. If you don't pay mortgage insurance on your mortgage now, you can refinance through the HARP program and not have to pay mortgage insurance later -- even if your home has less than 20% equity in it. The HARP program goes by many names. Loan officers and the mainstream media use many terms to describe HARP, but they all refer to the same government program. HARP is a refinance program only, and should not be confused with the FHA Streamline Refinance, a similar loan program for FHA-insured underwater homeowners. HARP is for mortgages secured by Fannie Mae and Freddie Mac only. Along with FHA mortgage, jumbo mortgage and USDA loans are excluded, too. When HARP was first launched in 2009, the government said that the program would help 9,000,000 otherwise-ineligible U.S. households to get a mortgage. At the time, rates were falling and homeowners were eager to lock in savings. Unfortunately, the government's estimates fell short. Way short. In 2 years, just 838,000 homeowners have used the HARP program. As a result, HARP has been called a failure. Give credit to the government, though. It believes in the HARP refinance program and wants to retool the program to meet the needs of U.S. homeowners. A successfully revamped HARP program will render millions of households mortgage-eligible instantly, and will allow homeowners nationwide to capitalize on today's low mortgage rates. Of course, with lower mortgage rates come lower monthly payments, which frees up cash for saving or spending. And, when consumers save and spend, the economy can expand. A revamped HARP program would be good for the U.S. economy. So far, he government's been mum about HARP program revisions, except to say that the changes will be released "within weeks". We have some ideas about what will be different. Currently, HARP allows for a maximum of 125 percent loan-to-value. This means that, if your mortgage is for $125,000, your home must appraise for at least $100,000. With the increased maximum, your home must only appraise for $83,333. This change will help homeowners in places like Florida, Arizona and California where home values have been hit especially hard. Currently, HARP mortgages are subject to Fannie Mae and Freddie Mac's loan-level pricing adjustments. LLPAs change the mortgage rate for which HARP refinancers are eligible, adding 1.500% to the rate or more. "Sure, you're HARP-eligible", your lender says. "But your rate is 7%". That helps nobody. With the new HARP, expect loan-level pricing adjustments to be dramatically reduced, or waived altogether. This will help homeowners with low equity levels and low credit scores the most. Currently, HARP restricts homeowners to one HARP refinance. Once you use HARP, you can't use it again. With the revamped HARP, expect the government to remove that restriction, allowing for an unlimited number of HARP refinance. This will be a boon to homeowners that first used HARP in 2009 when 30-year fixed mortgage rates were in the 6 percent range. Today, rates are near 4. Today's HARP participant have to have had their respective mortgages purchased by Fannie Mae or Freddie Mac prior to June 30, 2009. This renders everyone from July 2009 to the present ineligible for HARP. If all Fannie Mae and Freddie Mac loans from all-time aren't declared instantly eligible, expect the HARP requirement dates to move forward into 2011. This will help homeowners who have purchased or refinanced in the last 2 years, and have lost home equity since. Currently, HARP requires a full mortgage underwrite, with verification of income, employment and credit. It's possible that the Federal Housing Finance Agency waives that requirement for HARP loans, verifying nothing but payment history and some minimum savings amount. 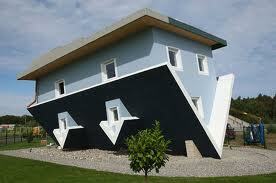 This would render HARP similar to the FHA Streamline Refinance, a program from a different government agency. Note, however, that if these verifications are removed from the official HARP guidelines, lenders may place overlays on their guidelines and choose to verify them anyway. These are just a few ideas of what the government will change in the Home Affordable Refinance Program. Undoubtedly, some of these changes will be made official, and others will not. There may also be some surprises that help everyday homeowners -- not just those that are HARP-eligible. 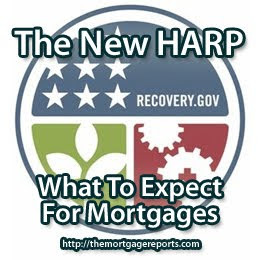 HARP mortgage rates will be different from "regular" rates. You'll want to make sure you're shopping accordingly. 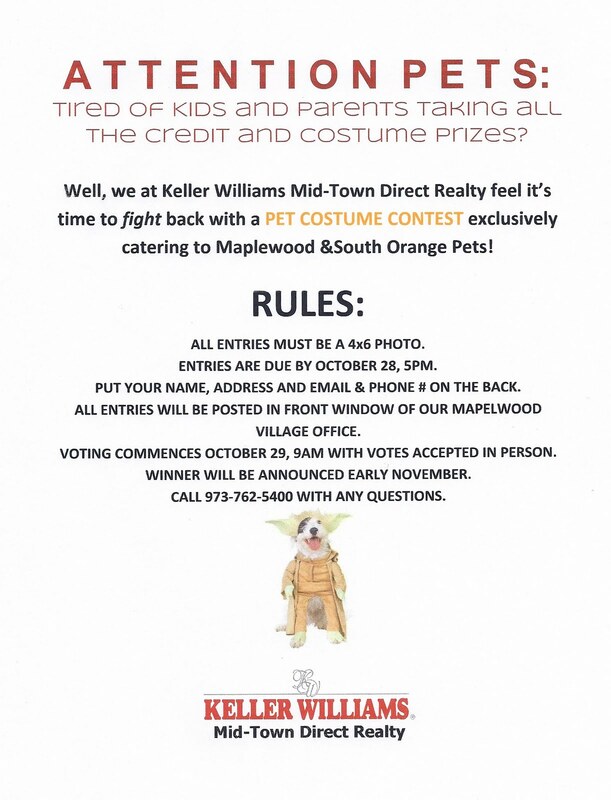 Maplewood's First Pet Costume Contest!!! One of my favorite times of the year in Maplewood/South Orange is Halloween and the extent that some people go to to decorate their homes. I took a lil drive around today and these pics are what I found. I hope you enjoy them as much as I do. By Inman News, Friday, October 7, 2011. Home prices increased in 12 states and Washington, D.C., on a year-over-year basis in August, according to a home-price report released this week by property data firm CoreLogic. West Virginia led all states with an 8.6 percent rise in home prices, followed by Wyoming at 3.6 percent, and North Dakota at 3.5 percent. The CoreLogic Home Price Index tracks price changes in repeat sales of homes. With New York Prices Going Up, we can hope that there will be spillover to the NYC Bedroom Communities that provide 30-45 minute commutes to The City. Chart : How Does A Foreclosure, Missed Payment, And Maxed-Out Credit Card Change Your FICO Score, By Dan Green (NMLS #227607) is an active loan officer with Waterstone Mortgage. Email Dan atdan.green@waterstonemortgage.comor call 513-443-2020. The FICO breakdownThe company behind the popular FICO scoring model published a "What If?" series for common, specific credit missteps. If you've ever wondered how your credit score would be affected by a missed payment or a maxed-out credit card, myFICO.com makes a look-up guide available to assess the probable damage. Here's a few common financial difficulties and how they'll affect your credit scores, based on your "starting score". Not surprisingly, the higher your starting score, the more each given difficulty can drop your FICO. This is because credit scores are meant to predict the likelihood of a loan default. People with lower FICOs are already reflecting the effects of risky credit behavior. Also worth noting that the above is just a guide -- your scores may fall by more -- or less -- depending on your individual credit profile. The number and type of credit accounts you hold, plus their respective payments and balances make up your complete credit history. What Rate Will You Get For Your Credit Score? Protecting your FICO matters. When your credit scores are high, you get access to better, lower mortgage rates than the next guy. And every 1/8 percent matters to your household budget. What rate will you get with your credit score? I couldn't find a current example, but i was able to find exactly the type of analogy for you to learn from. So, we need to start at the beginning with each of the three major credit bureaus, Equifax, Experian and TransUnion, collecting data from your lenders about your history of borrowing and paying back credit. They compile that information into your credit report, which any lender can access whenever you apply for a loan. The Fair Isaac Corp. is the major producer of credit scores. They take the information from those credit reports, apply their own trade-secret formula and, based on the three credit reports, distill three credit scores for you into one score ranging from 300 to 850. Borrowers with high FICO scores -- the top tier ranges between 760 and 850 -- can expect lenders to offer them lower interest rates and more loan choices. Scores of 620 or lower usually place a borrower in the "subprime" (yes, THAT SUBPRIME) category, and they can expect to be quoted significantly higher interest rates and may be offered fewer varieties of loans. 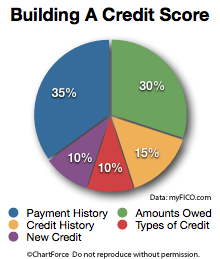 A FICO score of about 500-520 is generally the minimum that will qualify for a mortgage. as much as 2/3 of the rate you would possibly be able to secure with a score of 760-850. So, run your credit and make sure that what is on the reports is accurate. You may find a delinquency that wasn't yours; you might find a balance showing for a credit card that you paid off (i will take about 30 days to come off); you may find that a car loan is still showing for a car you traded in or sold, etc. I hope this helps provide a better understanding of what goes into your mortgage rates and how credit decisions can cost you money! Since September, foodies in NJ, and even those across the river, in NYC, have been buzzing about the opening of Montclair's new molecular gastronomy restaurant, Adara. On Wednesday, October 12, chef and owner Tre Ghoshal, along with Chef de Cuisine Daniel Pashin, will be opening the doors at 77 Walnut Street in Montclair. Why so much buzz about Adara? Let it suffice to say that for New Jersey, the cuisine at Adara is more than a little different—even by Montclair standards. 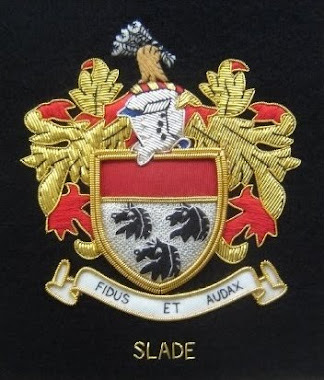 The fare could best be described as edge cuisine; succinctly meaninging traditional dishes, with traditional ingredients, presented in a non-traditional composition. Trick or Treat, Buy or Create, That is the Costume! Talking Shop! Talking Halloween Costumes! Here's your chance to Strut Your Mutt at a dog costume contest and parade at South Mountain Reservation Oct. 30. Anne Geddes, eat your heart out! This is cute. With Halloween only three weeks away—exactly—it's time to start thinking about whether your kid is going to be Charlie Sheen or a mermaid. At Halloween Secret, which just opened on Bloomfield Avenue, a salesgirl said Nicki Minaj was the most popular costume so far this year. At Just Kidding Around, a salesgirl said the $59 fireman costume is a bit hit. Other places to check out for costumes and decorations include Aunt Jean's Toys and Treats, Grove Pharmacy, and Milk Money. But what if you want to make a costume? Then you are in luck. Rock Paper Scissors on Bloomfield Avenue is offering classes designed to create fabulous costumes—both for your little princes and princesses. On Saturday, Oct. 15 at 2 p.m., a class to help you create a girl's costume is scheduled. A class for boy's costumes will be held Saturday, Oct. 22 at 2 p.m. The town is holding a meeting to discuss a proposal for a single trash collection contract and a "Pay As You Throw" disposal system. Trash talk is actually being welcomed by the Maplewood Township Committee at a special meeting being held on Monday, October 24, at 7:00 p.m. at Maplewood Town Hall. That night, the Township Committee will host a presentation and community meeting to discuss a proposal for the Township to enter into a single trash collection contract and institute a "Pay As You Throw" disposal system. An email notification sent Friday, Oct. 7 stated: "The purpose of these changes would be to bring savings to each household on collection costs, and allow households to also save money by generating less waste and recycling more." My parents have this program up in Massachusetts and everyone there loves it! Breaking the Fast (Not Breakfast) in Montclair! Here's what Montclair residents are planning. For Jewish people around the world, the days between Rosh Hashanah and Yom Kippur are known as “Days of Awe” which will end this Saturday night with the breaking of the Yom Kippur fast. While some Jews fast all day on Yom Kipppur, forsaking even water, others modify the fast based on their health, level of observance or family traditions. Whether the actual fast is strict, lenient, or non-existent, what seems to be universal around Montclair is the tradition of enjoying a festive meal with friends, neighbors, and family to mark the end of Yom Kippur. Montclair being what it is, this meal, while steeped in Jewish tradition, is shared happily with Jews and non-Jews alike in many households, everyone enjoying the novelty of having brunch food with wine for dinner with friends and family.